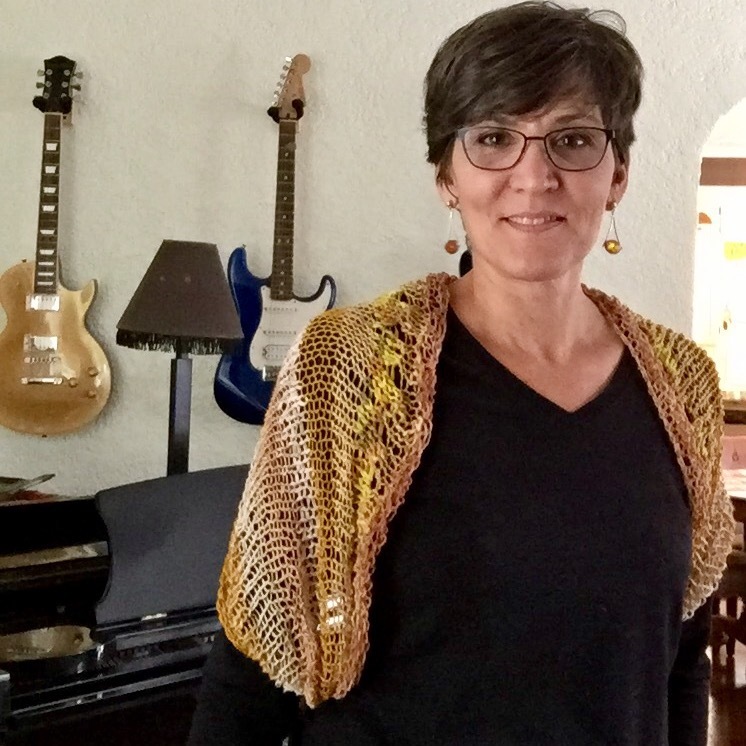 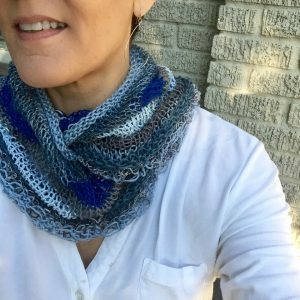 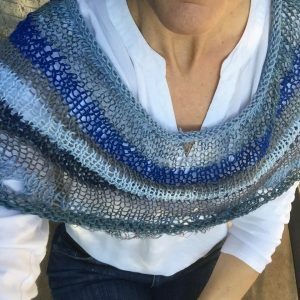 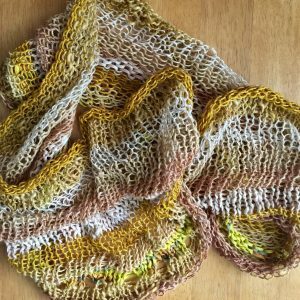 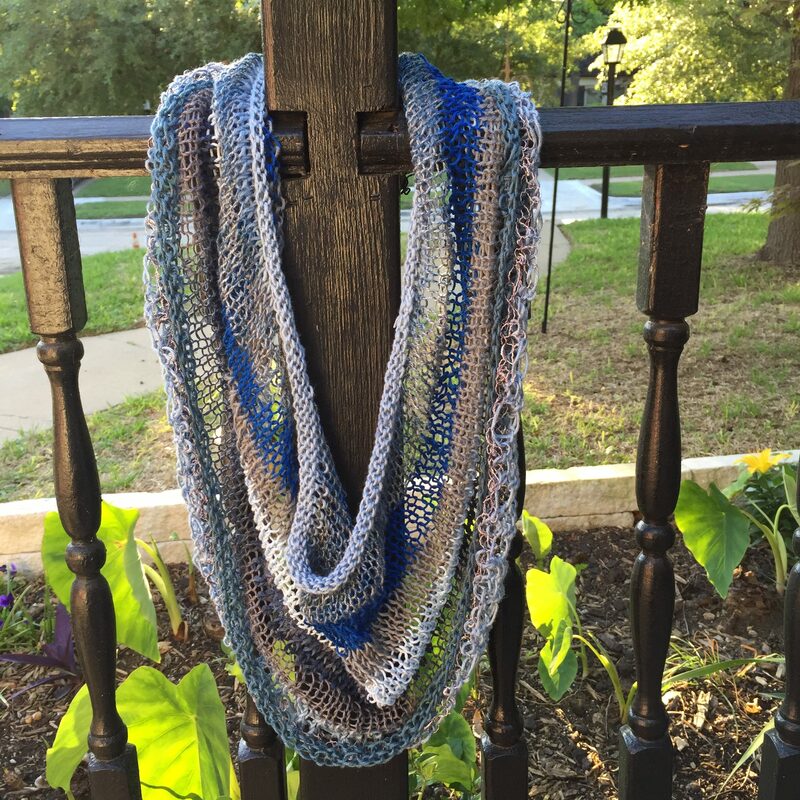 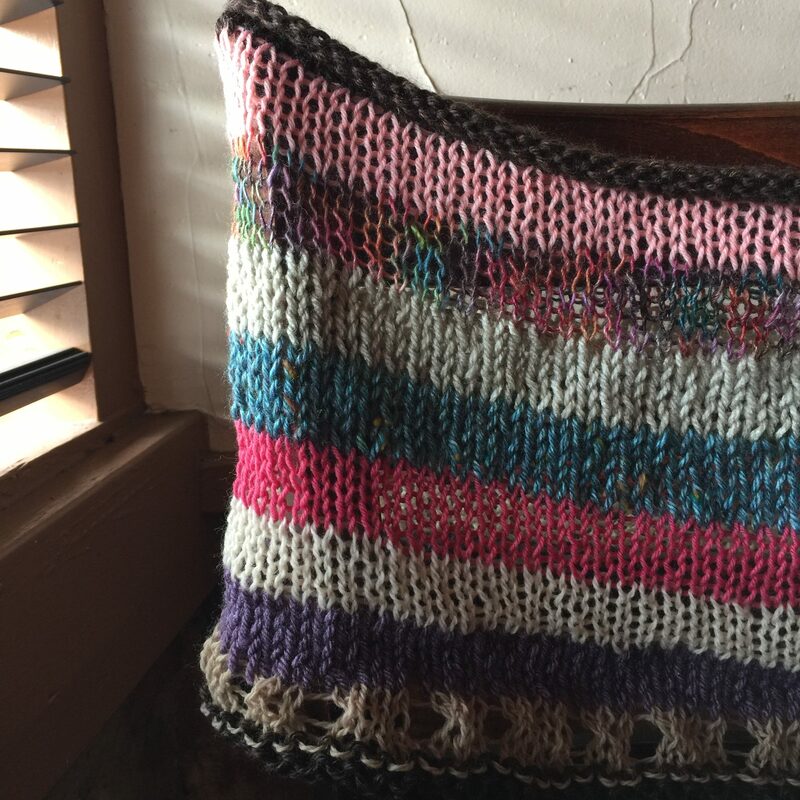 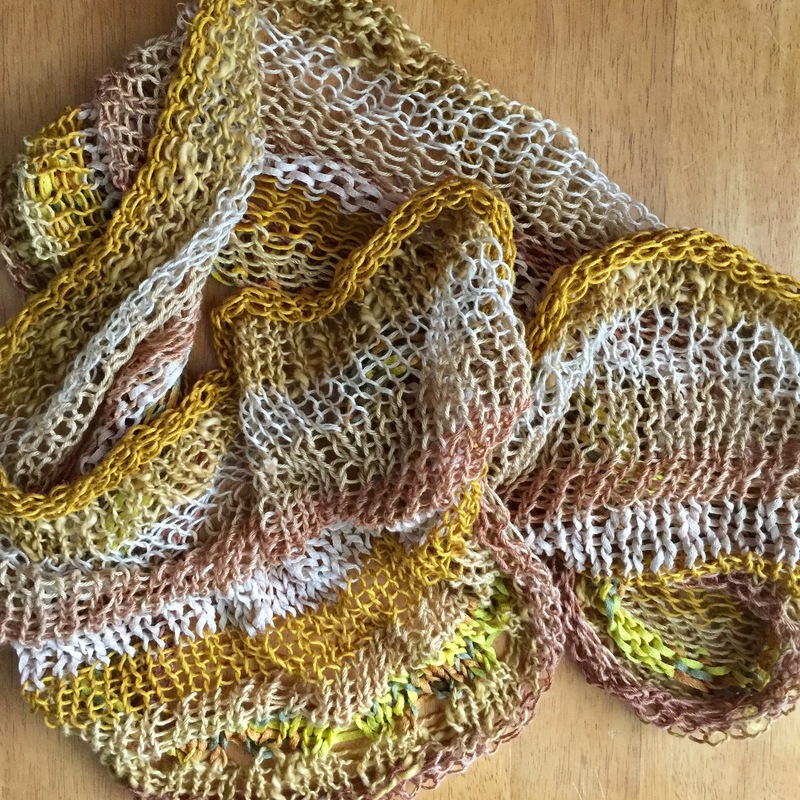 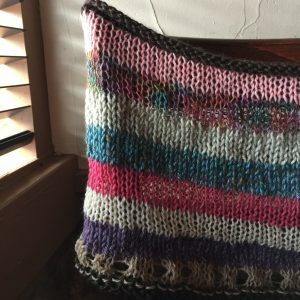 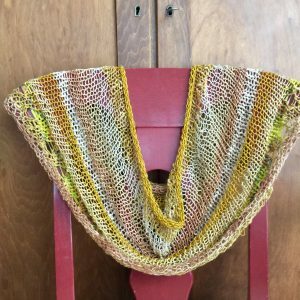 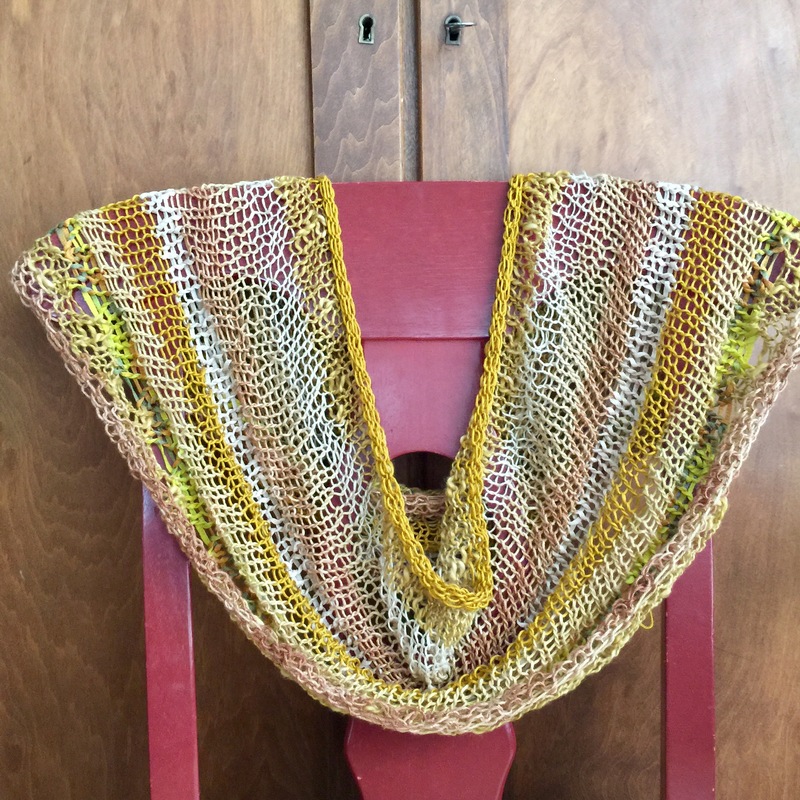 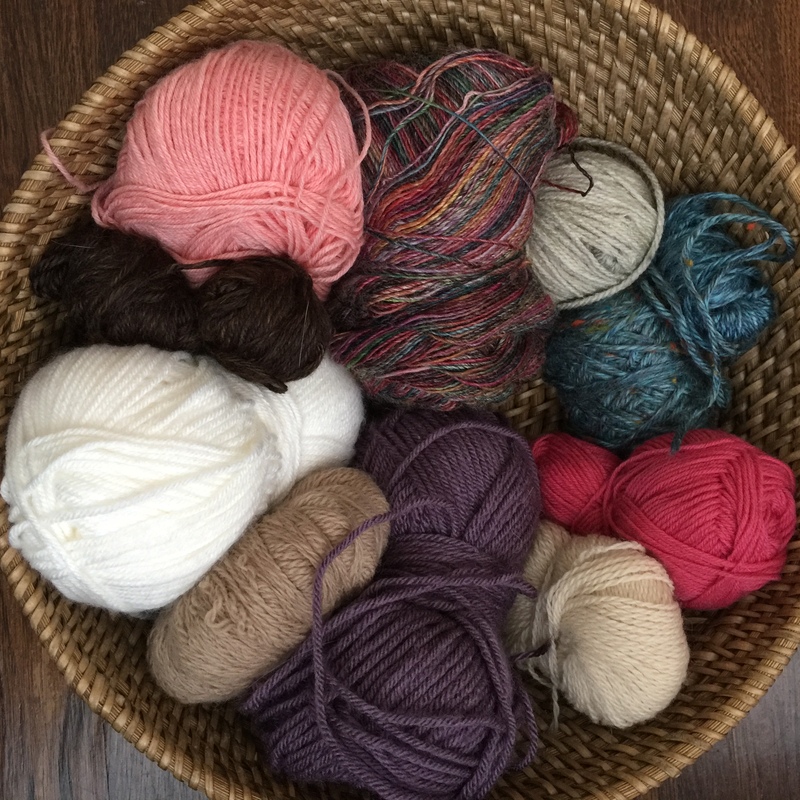 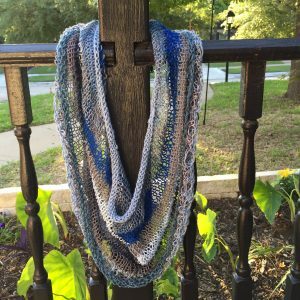 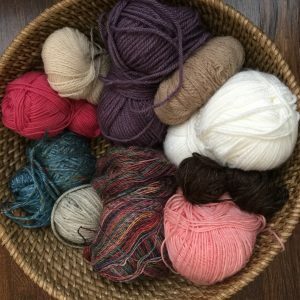 Who doesn’t love a free knitting pattern? 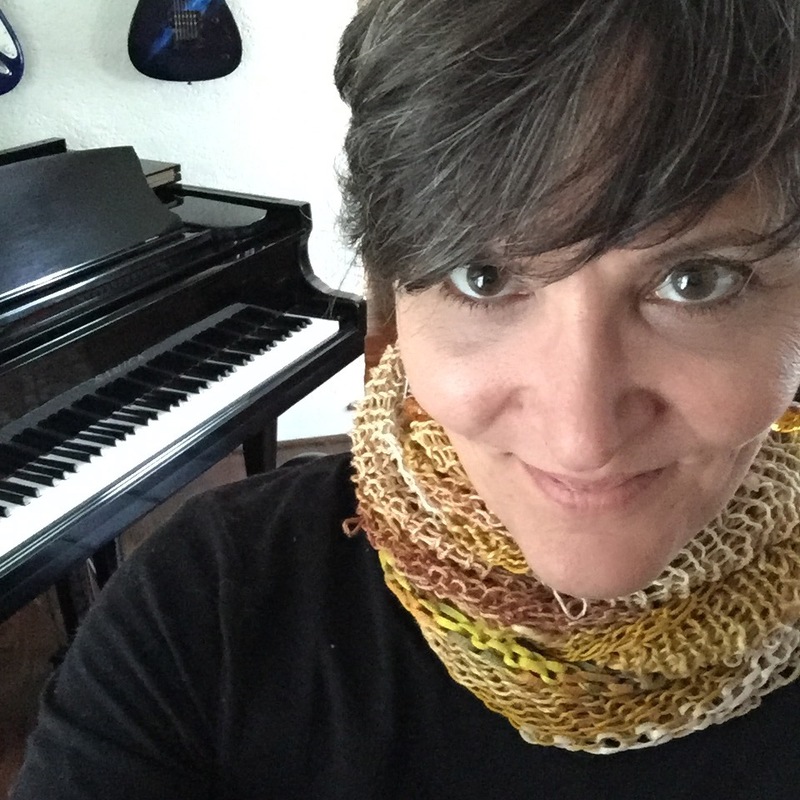 Peace and love were patiently knit into a beautiful, versatile piece called, Imagine Cowl designed by Petra Breakstone. 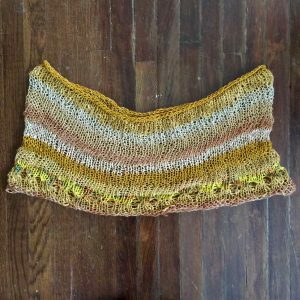 The free knitting pattern was super easy to follow and the Imagine Cake yarn was a delightful surprise. 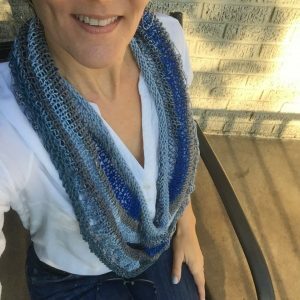 I loved how the colors and weight changed in my hands, coming together in a beautiful piece that is flattering and versatile. 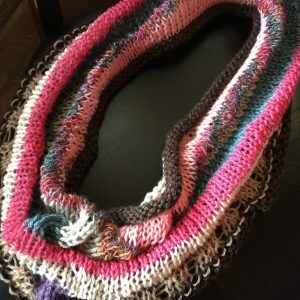 However, you can also choose to knit this using yarn from your stash! My three versions are pictured below. 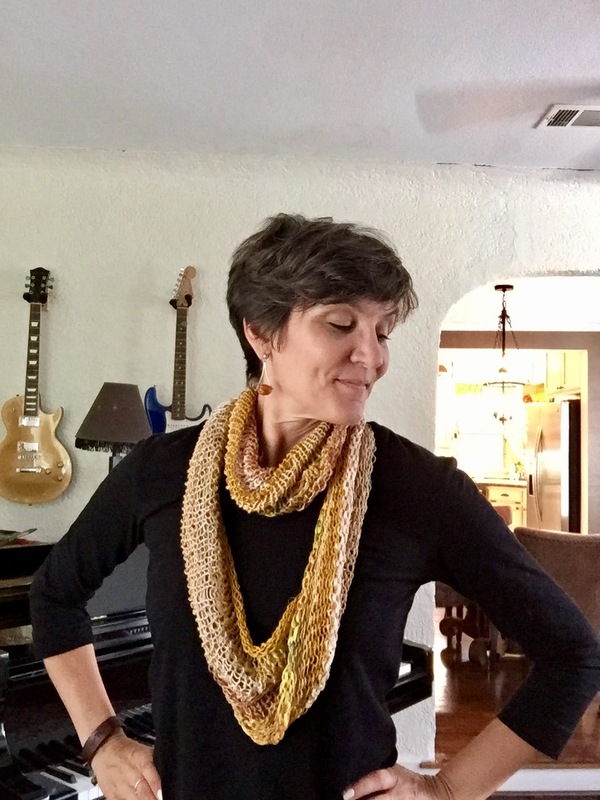 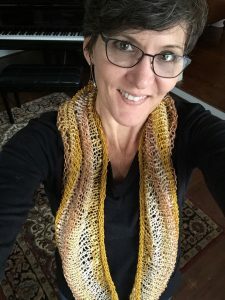 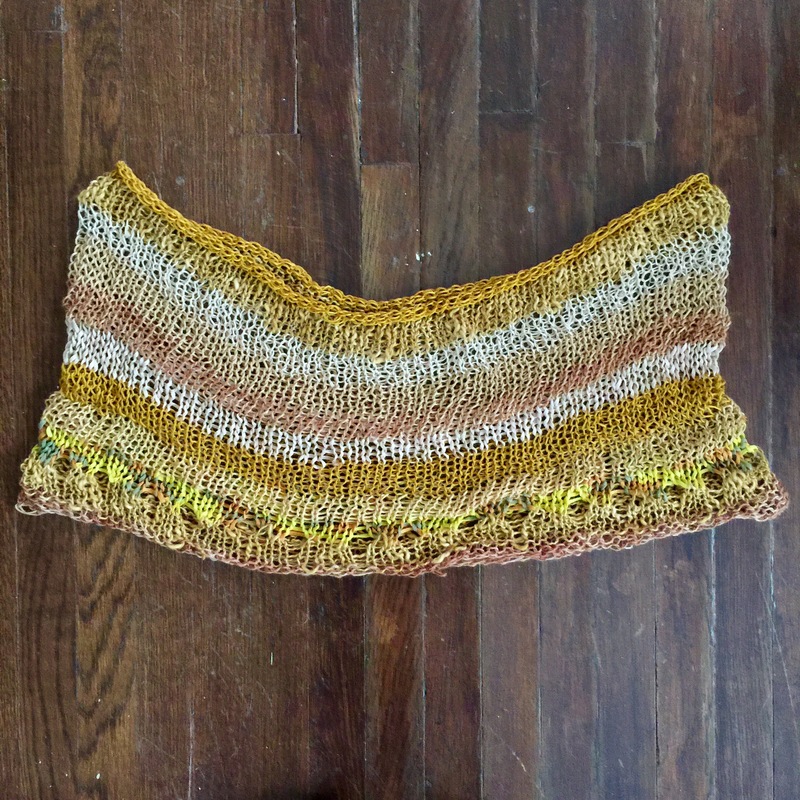 The piece knits up quickly and makes a great gift! 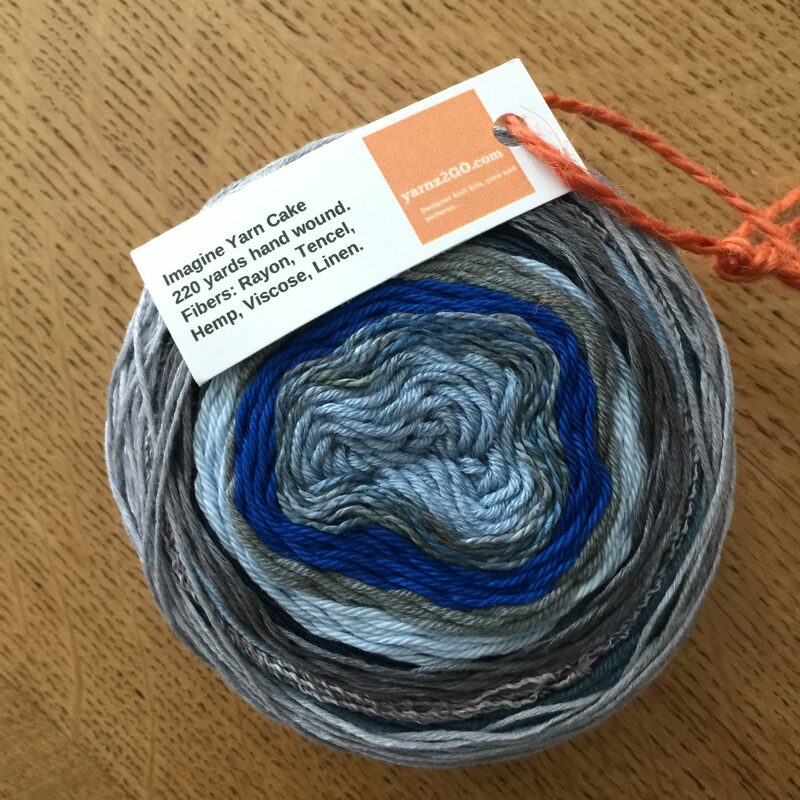 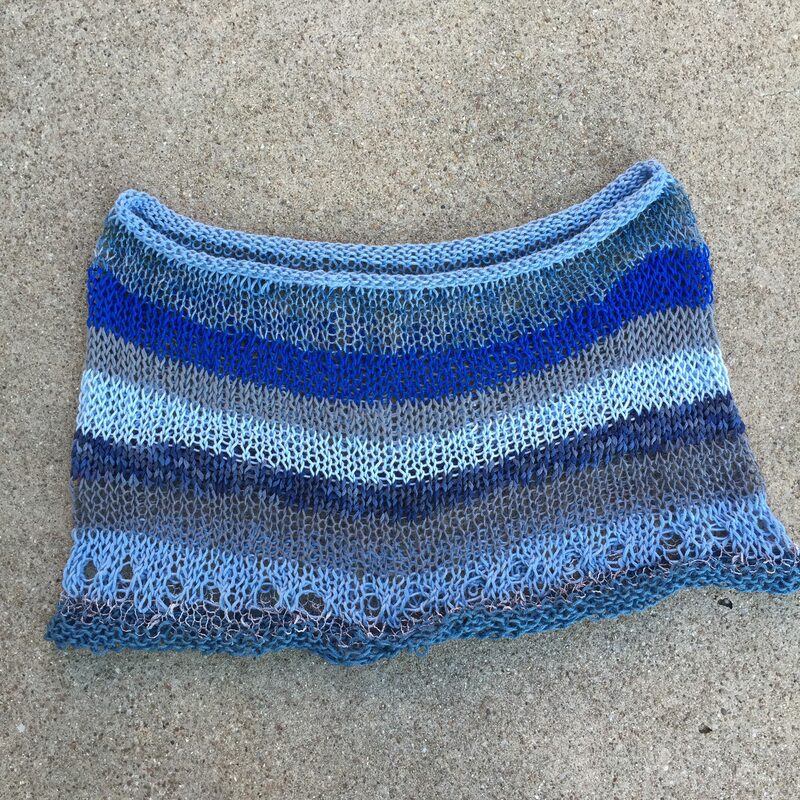 The yarns (I used “Storm Clouds” and “Glow” Imagine Yarn) are available at Yarnz2Go and you can get the pattern there or on Ravelry. 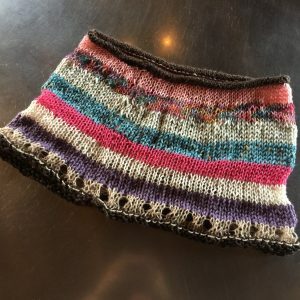 Worn as a double cowl. 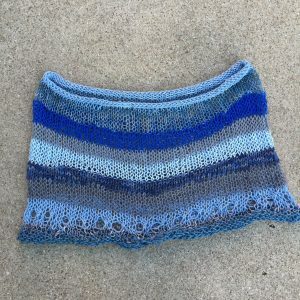 Worn as a short cowl / neck warmer. Thanks so much for sharing Marni! 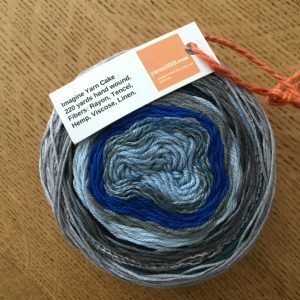 Love the blue in the Imagine yarn cake and also your left over multi color version too! 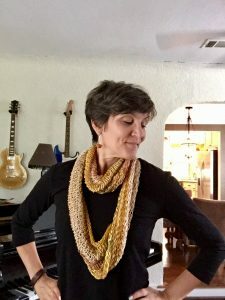 Such a fun and easy piece and so many ways to wear to. 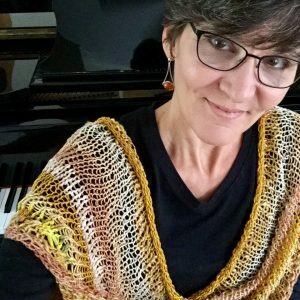 Have you tried it as a shrug yet?